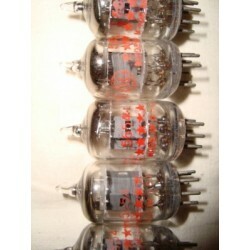 Mint New Bulk (NB) from 100 trays, miniature glass double-diode-triode tubes manufactured in Holland by Philips. 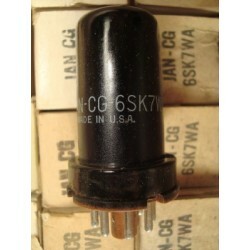 These tubes are designed as double diode detectors and high-mu voltage amplifiers for radio receivers (with an amplification factor of 70). With top halo getter, these tubes are printed in white 12AT6 PHILIPS.